– Still one of my favorites. As I wrote in last week’s post, I’ve changed up my beer drinking habits lately in an attempt to get back to the simple pleasure of enjoying beer, while stepping away from all the usual frenzied brand snatching I’ve tended to do over the past couple of years. 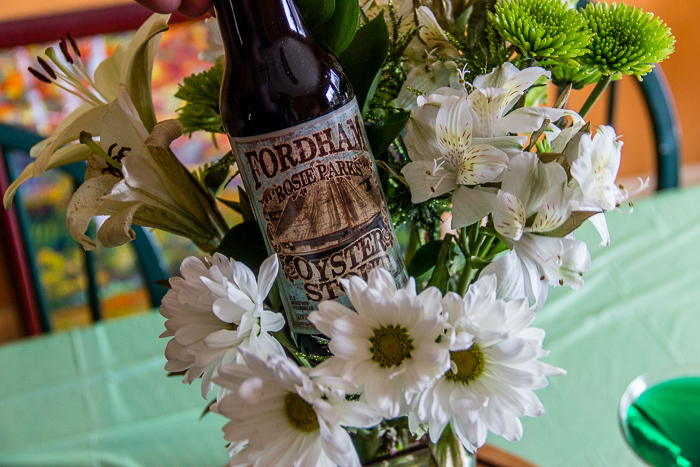 This time I want to talk about Fordham’s Rosie Parks Oyster Stout, a beer that is no stranger to me as I named it as one of my six picks for Brian Roth’s Six-Pack Project as well as making no apologies for declaring it in the past as one of my favorite beers brewed in Delaware. This hangout happened on a bit of a whim as I was getting ready for our yearly St Paddy’s day celebration, mulling over the possibility of adding some oysters to the menu. I loved the idea, but wasn’t digging the added expense or possible hassle of finding good oysters at the last minute when I remembered that I’d seen this very metaphorical (but adequate) substitute on one of my locals’ shelves. So spending nothing but a quick stop after work the next day, plus the price of a six pack and bingo – “oysters” for St Paddy’s day. 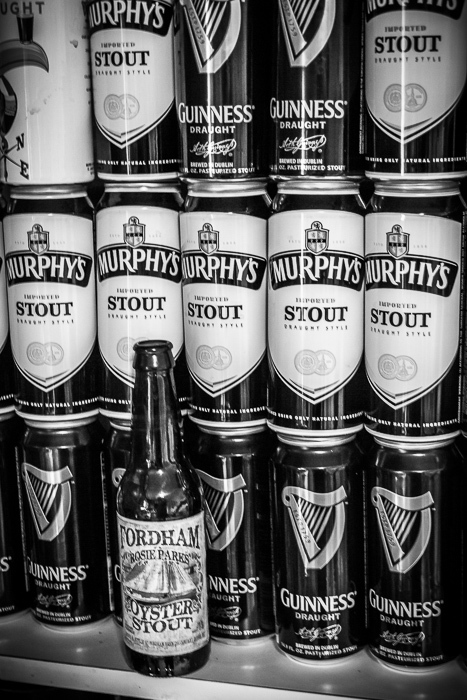 Of course there was plenty of Murphy’s and Guinness as well, but Rosie didn’t seem to mind hanging out with the boys. This was a short hangout, just a couple of days, but it was very pleasurable. The St Paddy’s celebration? Well long time readers know that I’m a bit of a St Paddy’s Day snob due to some culture programing by a Irish Jedi. So every year we get together with the kids and rock some Irish inspired food, drink and music. I’ll embed a couple of songs we added to the playlist this year at the bottom of this post. 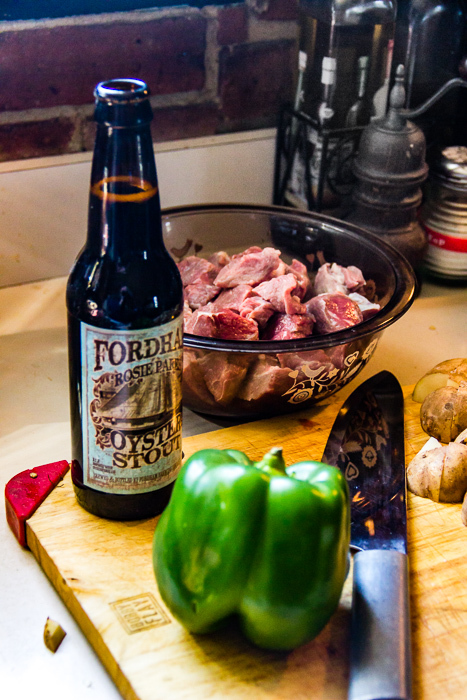 For now, let’s talk beer – and a little something else. 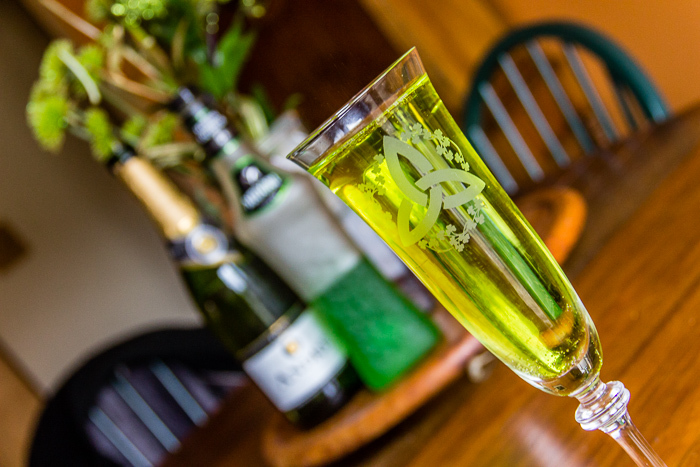 Continious Bubbles – Always good. 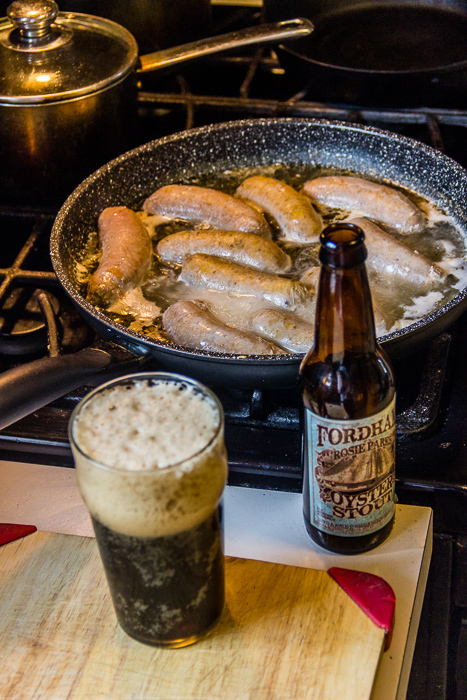 Late breakfast is always bangers and mash, and a beer (don’t judge). Lamb stew starts with some knife work. Out numbered but not out classed. DE AVAILABILITY: Most fine beer outlets. Yeah. Seems right. Don’t let the oyster thing turn you off, this is one fine beer and was a nice change of pace from the traditional dry stouts poured throughout the day. Time for another beer….sing us out boys! Next Next post: McCain’s Craft Beer Battered Fries – Really?